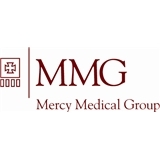 Mercy Medical Group in Chatham (Chicago) - Book Appointment Online! Conveniently located, offering primary care and a wide array of specialties for your entire family's healthcare needs. Everyone is so nice and respectful. The doctor is very good and very nice. She explains everything so I can understand.